This rifle is brand new in the hard case, it has a 24" Fluted barrel threaded with muzzlebrake and thread protector and a Black and Tan camo stock with white webbing and a detachable color matched magazine. Also comes wtih 30mm Talley rings cerakoted Tan. Do not wait months for your rifle to be made. 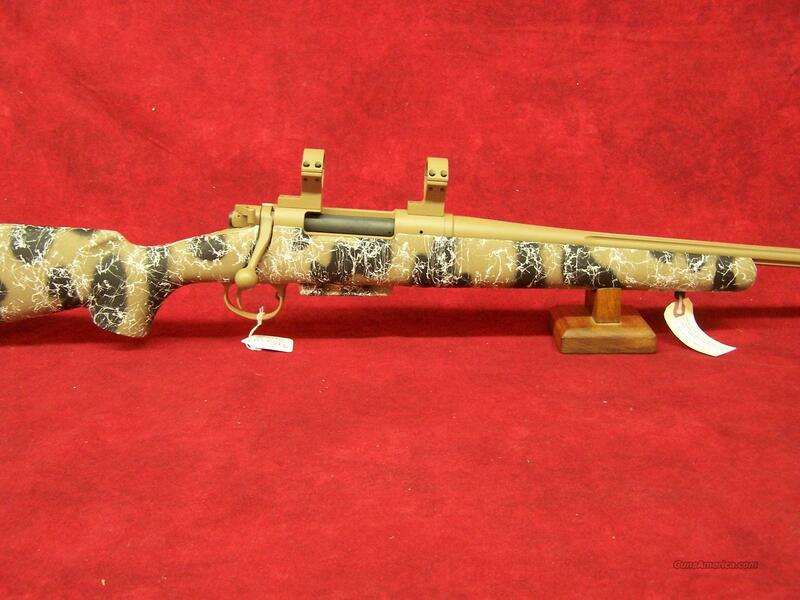 Pick this one up today and be shooting it by next week! !